Don Alder, often referred to as the “Hendrix” of Acoustic Guitar is a Multi-Award Winning Acoustic guitarist from Canada. Hot off his recent performance with Chris Hadfield, Commander of the Intl’ Space Station, Alder continues to “Wow” audiences around the world with his “jaw dropping” one man band act. His singing is soulful and heartfelt and his story telling and guitar playing is highly entertaining. Guitar Player Magazine Senior Editor Michael Molenda says “People will stand and clap for Alder as he is a Guitar Star in the making and can hold an audience with the best of the seasoned pros”. Ray Daniels, the Manager of Rush, says “Alder’s unique style of playing with simultaneous percussion creates a wall of sound and should be famous around the world”. Alder’s music also speaks for itself; his 2009 CD “Not A Planet” was nominated for two prestigious Music Industry Awards, his YouTube videos have seen over 3.5 million views. His music is a unique combination of deeply textured melody and story. Lyrical and compelling, his original songs are notes of exploration – some passionate and haunting, some hard-driven, others light and teasing. In quiet pieces or pushing right to the edge, Don’s phenomenal finger style playing and rich voice captivate. Don is also recognized as one of the of the world’s top harp guitarists. As winner of the 2011 Worldwide Guitar Idol (held in London, UK), 2010 Guitar Superstar contest (LA, USA) and the 2007 International Finger style Championships, Don Alder has earned his place as one of the top acoustic guitarists in the world and is the only guitarist to win all of the top prestigious guitar competitions armed with just an acoustic guitar. His dedication has allowed him to achieve what few guitarists have achieved—winning all of the high profile guitar competitions and performing with a passion that is rarely seen. Don’s performance in Malaysia (2013) garnered him a Brand Laureate Award. The only other Canadian to receive this award was Chris Hadfield (astronaut).This award is to recognize Don’s unique contributions using his guitar and music to help and inspire others around the world. Alder and Commander Hadfield were recently paired for a special performance of Space Oddity with Don using the harp guitar to support Hadfield’s singing. Alder also has an uncanny ability to entertain any type of audience; he has been invited to play special performances (by invite only) including TED-Vancouver, Sam Sullivan’s Public Salon, The Vancouver Olympics and International All Star Guitar Nights to mention a few. Don has also been called upon to perform duets with artists such as Grammy winners John Parr and Angelique Kidjo for an audience of 40,000. He has also earned top honors for his duet jams with modern poets such as Shane Koyczyan and Kyprios His music has been used in documentaries, corporate videos and movies. His character has also been portrayed in the movie www.heartofadragonmovie.com, a heartwarming story about helping others and an epic journey around the world in a wheelchair. In 1985, Alder put his music career on hold for two and half years to help his friend Rick Hansen go around the world in a wheelchair. This historic journey became a full length feature film with British Actor Andrew Lee Potts playing the role of Don Alder. Today, Alder continues to play to Canadian, American, European, and Asian audiences, sharing stages with artist such as Lee Ritenour, Vitor Wooten, Tommy Emmanuel, Andy Mckee, Mike Dawes, John Parr, Ellen McElwaine, Muriel Anderson. His guitar skills have also landed him performances at festivals as a headliner which included artists such as Don Ross, Pierre Bensusan, Billy Sheehan, Ric Emmet, Victor Wooten, Larry Carlton, Martin Simpson, and Dave Martone. Don has been featured in Guitar Player Magazine and all of the other main guitar publications. 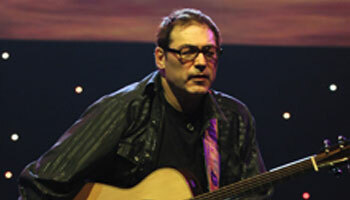 As a top acoustic artist/endorsee for Yamaha Guitars International he has been featured in the Yamaha All Access publications alongside artists such as Jason Mraz, Herbie Hancock, Sarah McLaughlin. He has multiple endorsement deals with a variety of music related companies including signature guitars from Greenfield Guitars and Dickert Guitars. He has been featured in Ads for Ernie Ball Strings, Seymour Duncan pickups and Santo Angelo Cables.